Here's an interview with Mark Galer, an Adobe Ambassador and author of Photoshop CS3 Essential Skills and Photoshop Elements 6 Maximum Performance. Lots of readers asks us for a good book for either Photoshop or Photoshop Elements and we always suggest they have a look at Mark's books. At the end of the interview you'll find links to sample chapters that will give you a good feel for the kind of excellent Photoshop teaching Mark does. 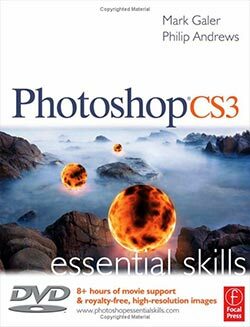 What makes Photoshop CS3 Essential Skills stand out from the crowd? 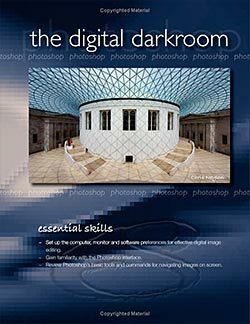 In the 15 years of teaching Photoshop to aspiring professional photographers I have learnt the value of ‘learning by doing’ and the importance of a curriculum that builds skills in a progressive and logical order. 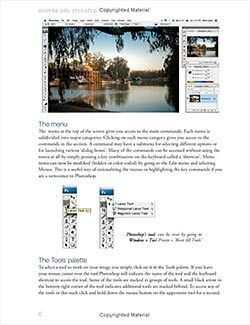 Unlike the official Adobe texts, my Photoshop books are written specifically for photographers, all the projects are covered by movies and high-res images and presented as real workflows so the reader acquires a sound working knowledge of Photoshop. Who do you recognize as the target market for your books? Professional photographers, aspiring professional photographers and photography students who want to, or need to, acquire professional level post-production editing skills for the current industry climate. 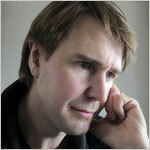 Readers are carried through from the basic level right through to cutting-edge advanced post-production skills. The only way this can be done in 300 or 400 pages is because they address the essentials rather than every button and option in Photoshop. Many educators on US commercial photography courses have adopted the book as the primary text above all others as it offers a truly independent learning resource due to the extensive movie support. I use a HP Pavilion desktop and two Mac laptops (which spend most of their time hooked up to Apple Cinema displays when I am not on the road). I use hardware that is reasonably current but not particularly ‘hot’, as this allows me to replicate an environment similar to the average consumer’s experience. Q. What does your experience as a Beta Tester for Adobe bring to your writing? A. My interaction with Adobe software developers and other Beta testers is an invaluable aspect to writing the books. It ensures that I have access to information-rich forums to assess the new features. There are projects in the books that balance new and old features to ensure optimum quality and speed. My publisher’s workflow requires a technical review of all new content. The material is reviewed progressively by other industry experts as the text is being written, testing for clarity of process through each and every step of every project, and then again for continuity of style, grammar and spelling. What is the key element in getting Photoshop up and running efficiently? 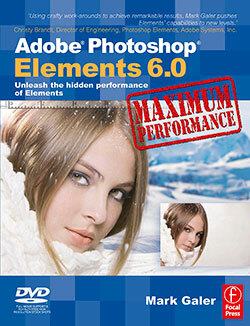 Photoshop CS3 and Elements 6 are very happy on the newer processors such as the dual core machines from Intel. With 2 Gigabytes of RAM you can work on most high-resolution projects and have Photoshop, Lightroom and/or Bridge/Organizer open in the background without suffering any long delays. For those who embrace medium format digital images or who stitch multiple high-resolution images in their daily workflow, then 4 Gigabytes of RAM is definitely recommended. In my opinion, all pro photographers should calibrate their monitors using a calibration device, such as the ColorVision Spyder or Gretag Macbeth Eye-One Display. Without this, I feel, every other aspect of colour management is a waste of time. So long as you are tagging your images with a profile (typically sRGB for screen, and some print service providers, and Adobe RGB 1998 when images are destined for inkjet print and CMYK conversions) then the subject of colour management is a done deal. For users who print using their own inkjet printers they should also purchase or create a custom inkjet profile. These days, good LCD monitors are very affordable so nobody should still be using a CRT, unless it has been tested for accuracy and possesses a decent luminance output. Most CRTs over three years old are usually too dim to be of any real value any more. For those who aspire to even more quality, an obvious choice would be the professional grade monitors from Eizo. The creative photographer who integrates post-production editing into their workflow understands that control comes from a sound knowledge of the software program. Many users apply settings as a learnt recipe or sequence of actions  with little understanding of the implications or value of each step in the sequence. There are many default settings used in Photoshop in various dialog boxes and many inexperienced users tamper with these settings with little real knowledge of what they’re doing or why. Some settings are known as ‘sticky settings’, so users can find themselves with a general workflow that then starts to degrade rather than enhance image quality. The text in the Essential Skills and Maximum Performance books explain not only the ‘how’ but also the ‘why’. What was the prime area in the book that you needed to get right so that readers would gain substantial benefit from it? The book’s key success is its integration of non-destructive workflows using Layers, Channels, Paths and Blend modes. Take the Blend modes. These are the least utilised toolset in Photoshop by general users, and therefore blend modes are a key feature of both the Essential Skills and Maximum Performance texts. Each Blend mode has value only when it solves a series of ‘real-world’ editing problems. The user finds value in each Blend mode when it’s used in context with a problem solved. The reader who completes the projects in either book graduates from beginner to advanced user. Many of my graduates who have completed the essential skills course (book) have told me that they find other, so called, gurus one short of a six-pack when it comes to providing a sound skill base. Q. In your previous books and your magazine writing efforts what feedback did you get? A. When new books are commissioned the publisher gathers six reviews from the USA and UK (the book’s dominant markets). Feedback also comes directly to me on a daily basis via email and in person from readers I meet. All feedback is taken seriously  if advice leads to an error corrected, or an improved workflow, the book is further enriched for subsequent versions. I have never claimed to be a Photoshop ‘guru’, as I constantly sift and select through alternative information looking for improvements to my own workflows, and occasionally, I do unearth something that causes me to re-evaluate a sequence of steps … I’m always on the lookout to be proved wrong or for me to become a better editor. Do some readers face problems using inadequate hardware  low memory, slow processors, poor screens? Are they better off to go over to Elements and not fight the frustration of working with an overly complex application? I don’t think it is important whether Elements or ‘full’ Photoshop is used when editing high-resolution images: You still need an adequate processor and enough RAM to ease the editing procedure. Many workarounds can be used in Elements to circumnavigate the few shortcomings that it has. Many photographers are surprised to discover that Elements now has Adobe Camera RAW and 16-bit editing (on a single Layer). Many photographers who used CS2 could have done 99 per cent, if not all, of their editing using Elements. CS3 has, however, widened the gap once again. Smart filters applied to Smart Objects is a level of professional non-destructive editing that Elements users can only dream of.Any photographer who isn’t using Smart Objects and Smart filters, who edits only in 8-bits/Channel, does not supply their clients with CMYK files or use the Pen Tool to create vector paths could save themselves a thousand dollars and switch to Elements. The slightly simpler interface has the added advantage that colour management works intuitively behind the scenes. What do you expect CS4 will offer? As a Beta tester I’m not permitted to answer that one. Many people were surprised with the Vanishing Point feature in CS2 and that Auto Align and Auto Blend in CS3 could be so great: And that we would finally have non-destructive Filters after first asking for them to be included when Layers first appeared in the mid 90s. How about the current situation where every camera maker has a proprietary RAW format? I like the idea of Adobe’s DNG, the XMP data is safely contained in the header of the DNG file format, so there’s no need to worry about where your sidecar file is. Another feature is a safe file format that can be used to archive images. I already have some RAW files in a propriety file format which I can no longer open without hunting down an older version of Photoshop (remember Konica-Minolta and the early Sony RAW file formats before the Alpha 100 DSLR?). Another was the debacle over Nikon D70’s RAW files you couldn’t open in Adobe Camera RAW. Hasselblad and Ricoh now write DNG files in camera and I sense this trend will grow over coming years as manufacturers slowly but surely realise people want to edit using in Photoshop and very little else. How important was it to include a DVD with the book? Very important. Four Gigabytes of support material requires a DVD and this support material is an invaluable resource. As an experienced educator I know the value of the ‘follow, copy and then create’ principle. The Essential Skills book is the book that fully embraces this concept. There are many people who continue with film and defiantly ignore digital capture. Should they mend their ways or is there room for both? There is definitely room for both, but to defiantly ignore digital capture in commercial photography has serious pitfalls. Art directors from advertising agencies generally want a fast workflow with immediate feedback from full-screen displays. They don’t want to review the work-in-progress from Polaroids and then wait nervously for film to be processed and proofed to know that the job is ‘in-the-bag’. Additionally, stock libraries and editorial magazines are reluctant to take film at all. Some photographers, still talk about ‘the look’ of film that gives their images a certain appeal but I confess that I have not yet seen a look that cannot be created digitally in post-production. You have to remember that film has to be digitised for it to be of any commercial value. All images pass through Photoshop on their way to press  where they acquire their sense of texture, luminance, colour, tone and sharpness (in camera or in post-production) is reasonably academic. We need to take our hats off to those photographers who still shoot film and the phone still rings. This is becoming an increasingly rare breed. What has been the response of readers to the book? Five stars all the way (Amazon US and Amazon UK)  except for one solitary four-star rating, and this was because the father purchased the book for his daughter, who is an artist rather than a Photographer. Note that he didn’t try to take the book back though  and rated it as excellent. Why did Focal Press publish two books on CS3, virtually simultaneously? One by you (& Philip Andrews) and another by Martin Evening? Some photographers will weigh up the style of delivery of each book and make an informed decision as to which book serves their needs best. As post-production editing is a third of what photographers spend their time doing these days it is only reasonable that Focal Press cover this important sector of the market with multiple books on the subject. Elements 6 and the stitching is so clever it will really have you amazed at the quality that can be achieved inside this budget program. The quality will be even better if you capture the component images of your panorama in vertical format (to reduce the effects of converging verticals) with a 50% overlap and you also use a manual exposure, focus and white balance setting on your camera (or process the images identically in camera Raw). The results will now truly be seamless - an excellent way of widening your horizons or turning your humble compact into a 30-megapixel blockbuster. Read the full sample chapter, Working With Photomerge In Elements 6.